Many, many moons ago (aka 3 years ago), when I was a wee little quilter of less than a year, I joined my first quilt-along. I loved finding a community of quilters willing to teach me all.the.things about quilting, as well as wow me with their work. That quiltalong quilt ended up being my fifth quilt, which I gifted to my niece on our last trip to the Netherlands. I have learned so much in the last 3 years and 65 (!) quilts. I had learned of Bonnie's famous mystery quilt on her website, Quiltville, but never joined before because I've been too busy making my own things. Now that I've made quilts for all my family members except the mama to the cutie in the photo above, I thought it was time to try quilting along again. Fun fact, we're off to Europe again this summer to see family. 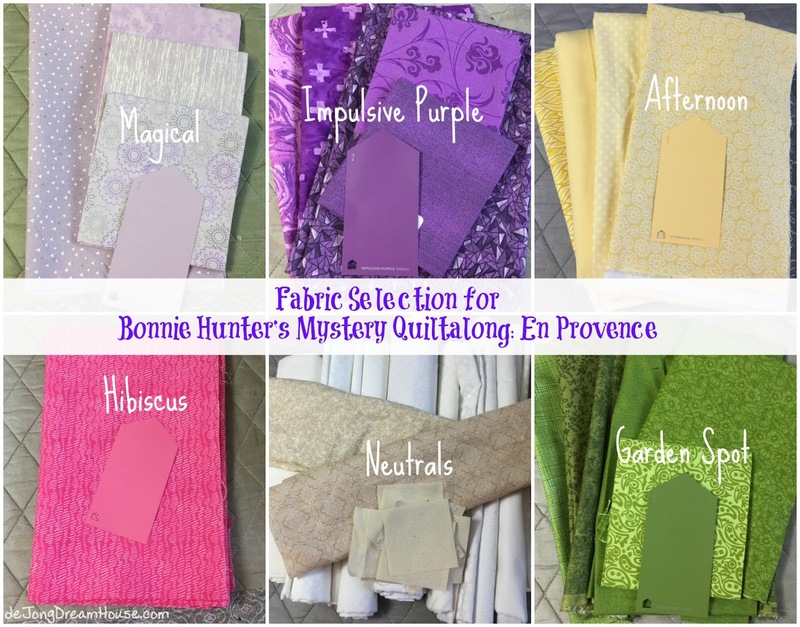 Last month, Bonnie introduced the quilt colors, which are based on Sherwin Williams paint chips. We don't get to see the final design, thus, the mystery. I'm wanting to use up more of my stash, so I'm happy to say that I got almost everything pulled from what I already had. She posted the first clue a few days. Since I'm doing a smaller version of the quilt, I only need to make 111 four-patches. No worries, right? My posts for this quilt will be short in the future, just a photo or two of my progress. If you are quilting along with me, please leave your blog or Instagram in the comments so I can cheer you on!